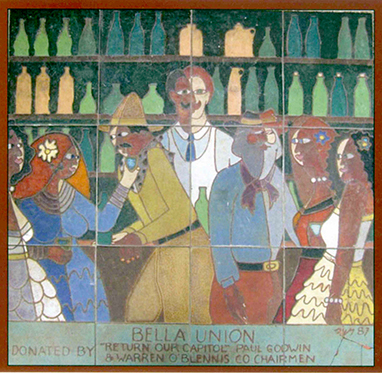 Benicia is fortunate to be able to include as one of it’s historic residents, the artist Guillermo Wagner Granizo. Granizo moved to Benicia in 1980 and spent the last two decade of his life here. 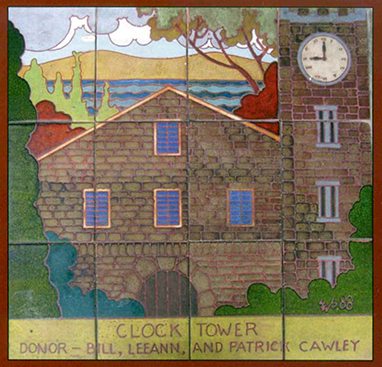 He studied the history of of Benicia and created a series of tile murals that the city placed in the sidewalks on First Street and also in civic buildings. 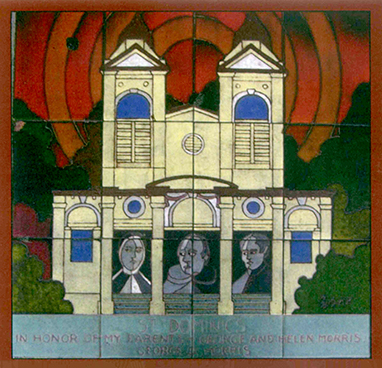 Each mural depicts landmarks, people, and events that are significant in Benicia’s history. The Clock Tower storehouse, built in 1859, still stands on Army Point in the Lower Arsenal area overlooking Suisun Bay. Built in 1860, The Commanding Officer's Quarters still stands near the Clock Tower. It was built by Lt. Julian McAllister, who was the commanding officer from 1860-1886. The building was restored in 2011. 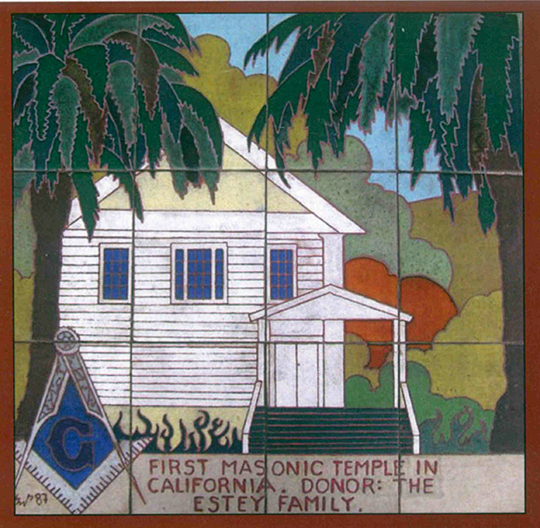 The first chartered Masonic Temple on the West Coast was built in Benicia in 1850. It still stands on West J Street. 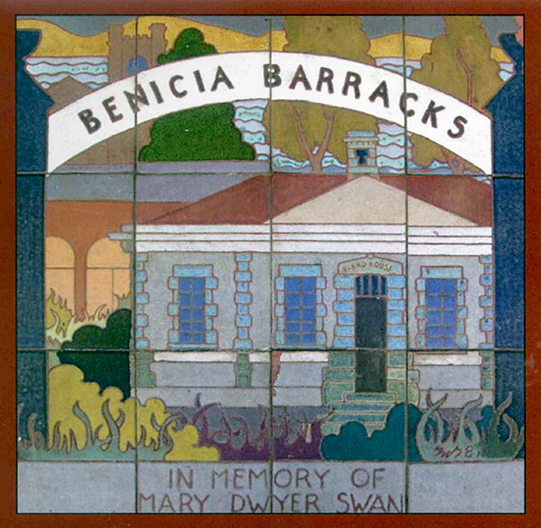 The Benicia Barracks operated fro 1849 until 1922, when the wooden buildings were destroyed by fire. The city of Benicia was officially founded on May 19, 1847. 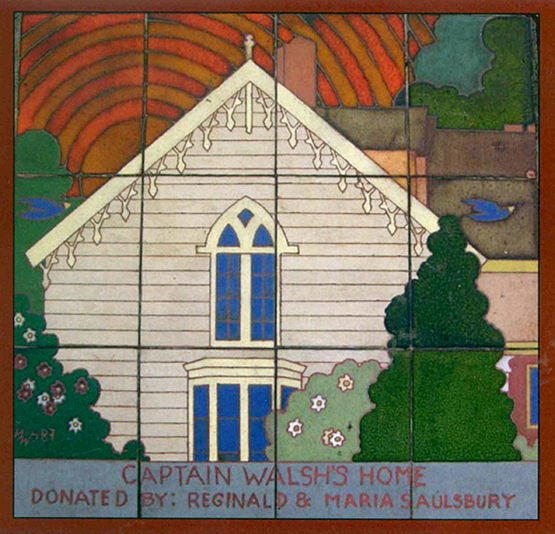 The Captain Walsh House at 235 East L Street is sometimes referred to to as the Frisbee Walsh House, having once belonged to General Vallejo's daughter Epifania and her husband, banker John Frisbie. It is the oldest house in Benicia, still located on the original site, and is now privately owned. Francisca Maria Felipa Benicia (Carillo) De Vallejo was the wife of General Vallejo, who insisted that the city be named for her as a condition of the sale of the land. 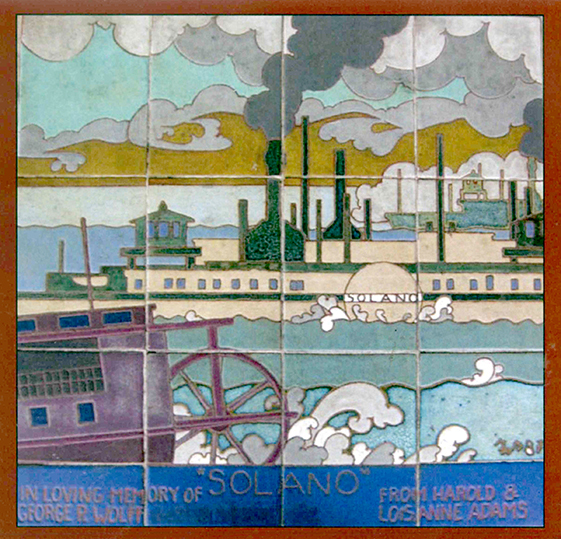 In 1847, Benicia's train ferry, "Solano" was the largest wooden vessel in the world. It hauled trains across the Carquinez strait for half a century until the railroad bridge was built in 1930. A basement salloon on the corner of First and H Streets that opened in 1862. Local legends says that the saloon also served as an entrance to a series of tunnels that linked it to other buildings on First Street. Benicia was home to California's first volunteer fire brigade, started in 1848. In 1856, each fire fighter contributed $6 to help pay for a new fire engine which was delivered to Benicia by boat. That fire truck is on display today at the Fire Museum in Benicia. Finished in 1853, this building was California's third capitol building for one year, before the capitol was moved to Sacramento. Restored in 1957, the building is now a State Park. 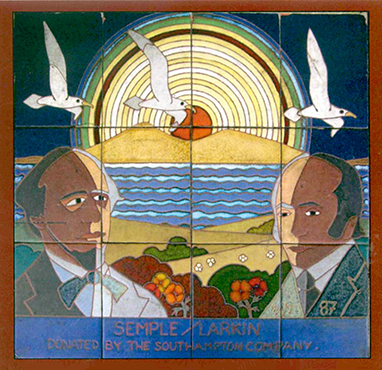 Benicia's two town fathers, Robert Semple and Thomas O. Larkin. Simple bought the land from General Vallejo, after escorting him to Sutter's Fort in Sacramento. He recruited Larkin to aid in the financing. They paid Vallejo $100 for 5 square acres and founded the town in 1847. Benicia's first Catholic Church, built in 1852. The current twin-towered building, built in 1890, is located on East I Street and is still a functioning church and school.